Desktop Alert Inc., the leader in net-centric alerting systems and interoperable emergency communication systems, today announced a contract award from the United States Coast Guard to protect, alert, and inform 3,800 personnel in the National Capitol Region. 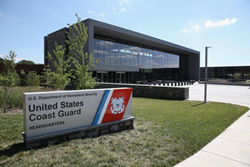 As part of the Joint Force Headquarters National Capital Region, these Coast Guard personnel are responsible for homeland defense, defense support to civil authorities (DSCA), and incident management in the National Capital Region. Benefiting the Coast Guard is the proven Desktop Alert Transition Methodology and out-of-the-box interoperability. This ensures a seamless transition from their legacy system to the Total Alert system with no technical risk or interruptions in alerting and notification. It also delivers interoperability with other alerting systems and organizations out-of-the-box. The Coast Guard will now have a customizable, real-time ability to connect with other organizations such as USNORTHCOM, The National Guard and other agencies for alerting and notification without subscribing to any additional services or utilizing unnecessary and risky proprietary cloud services. Desktop Alert is the leading provider of enterprise mass notification and emergency communications to the United States Department of Defense and offers the fastest, most resilient, net-centric alerting system. Its innovative and patented software has been internationally recognized as a “Best Mass Notification” and “Best First Responder Interoperable Communications” system. Desktop Alert provides a suite of scalable, flexible, and adaptable communication, collaboration, and situational awareness tools in environments ranging from austere - no terrestrial infrastructure support - to fully modern with extensive IP and legacy system integrations. Desktop Alert optimizes the communications flow with timely, accurate information to ensure effective decision making, coordination, proactive community engagement, and public awareness.